Accrington Stanley forward Shay McCartan has signed a new 12-month contract with the League Two side. The 21-year-old moved to the Reds in 2013 and played 36 games for them in all competitions in the 2014-15 season. 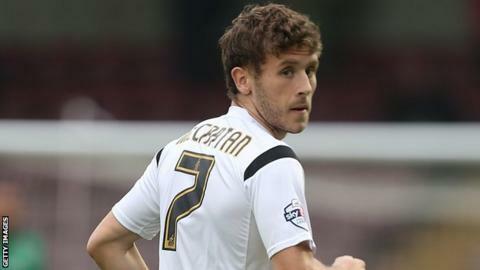 McCartan told the club website: "I always knew I was going to sign here, it was just a matter of getting everything sorted." Stanley manager John Coleman said: "He's young and hungry and really fits the bill in that sense."